At AppointmentCare we have been busy at work adding and implementing a lot of new features. Our existing customers expect us to keep updating this product and we have. Potential customers are looking for enhanced features that will help them increase the value to their business. 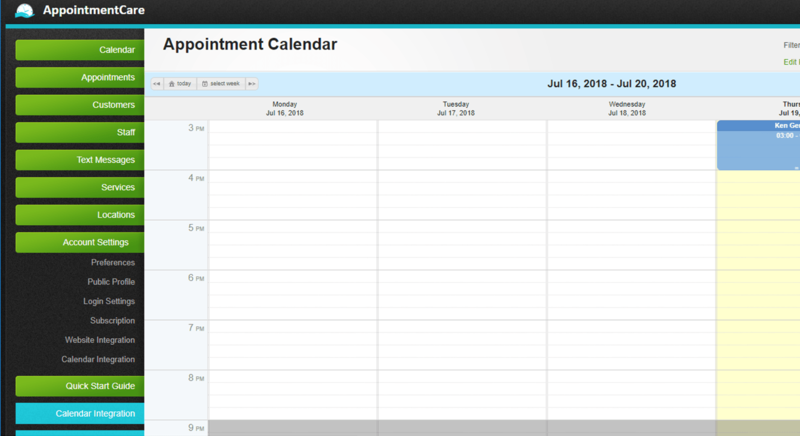 Today AppointmentCare is happy to announce a long awaited feature Calendar Sync. 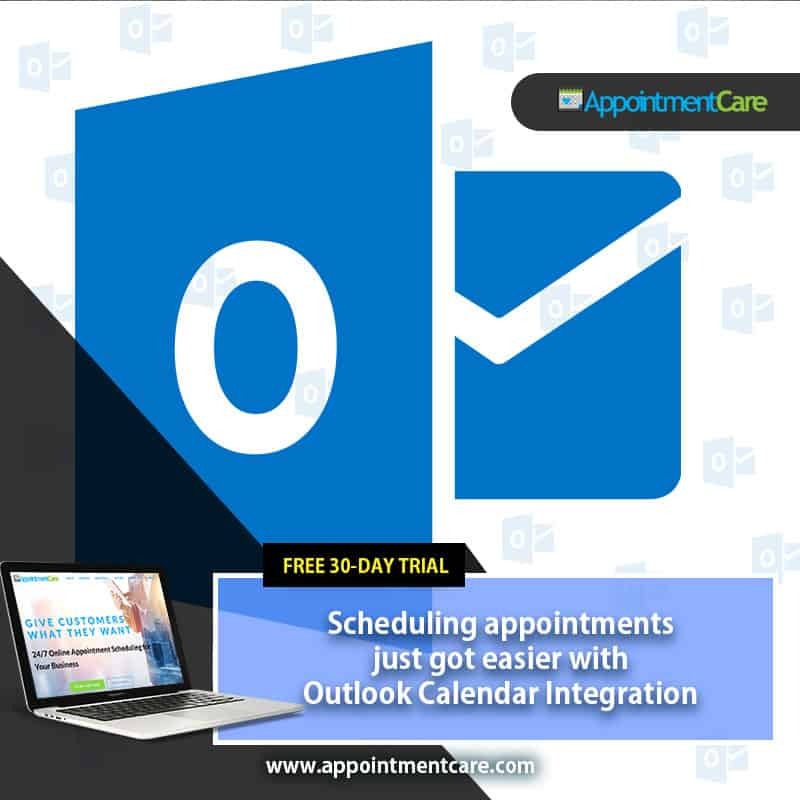 This feature will easily let you export any appointments from AppointmentCare to Google Calendar, Outlook, Outlook 365, Apple Calendar, Mobile device or anywhere else iCal files can be used. Now each member of your staff will have the option of generating a unique iCal URL token that can easily be integrated with just about any web based calendar. 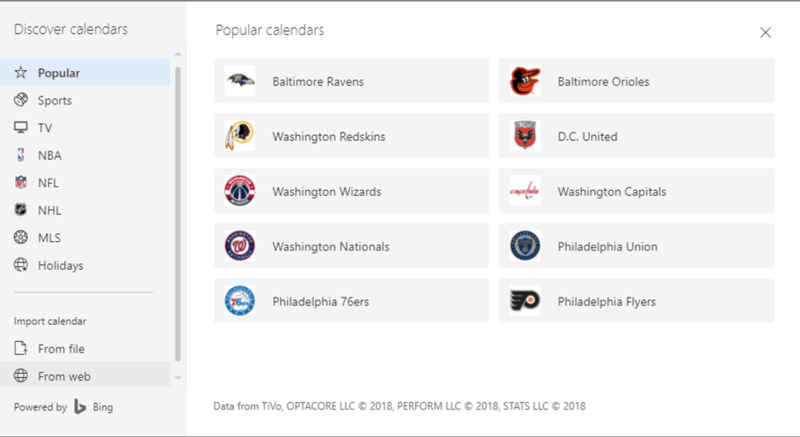 We will provide you with the steps on how to make this work for a few of the more common calendars below. As always, if you have any troubles or questions be sure to reach out to our support team and they are move then willing to help your team out. For many of our clients this feature is important as many employees aren’t going to be at a computer a lot or logged in to AppointmentCare. We take pride on that our software can be set up and then needing minimal effort to keep it going. Being able to view your schedule outside of our software just helps to take that to the next level. This will be a huge help for mobile employees that aren’t usually in the office or store front to get routine updates. We have always had the ability to email you when an appointment is made. This improves on that as you won’t have to dig through email to find out who you are meeting with and when. Or more importantly about what! In today’s hectic world it is easy to forget something without the reminder. 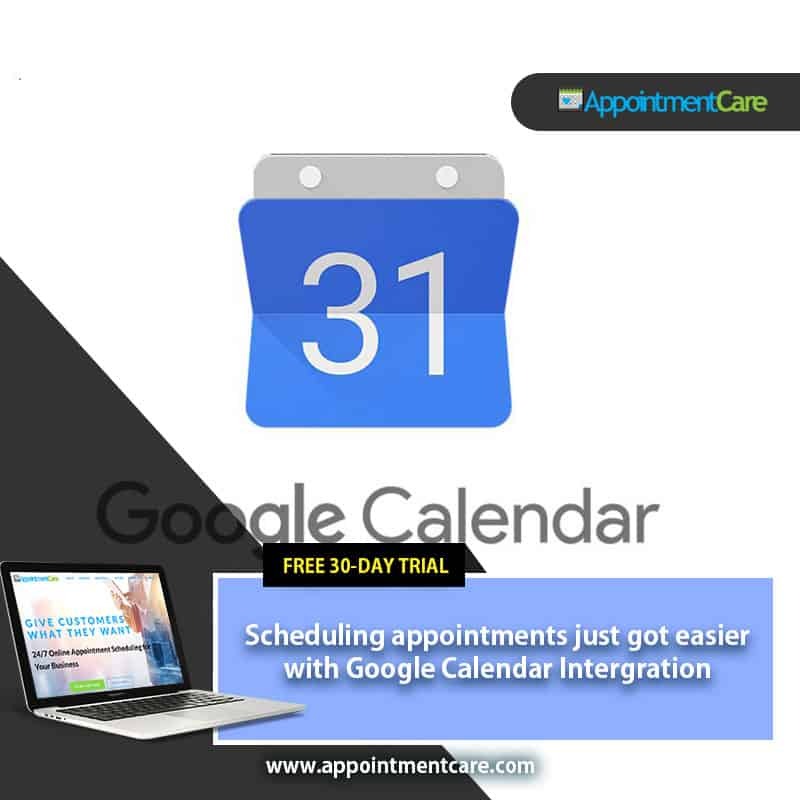 The directions that follow are how to setup Calendar Synchronization between AppointmentCare and your external calenders. The first step is to log in as Staff Member that wants to sync their calendar. From the main page go to the account settings area on the left hand side. Then select Calendar Integration. 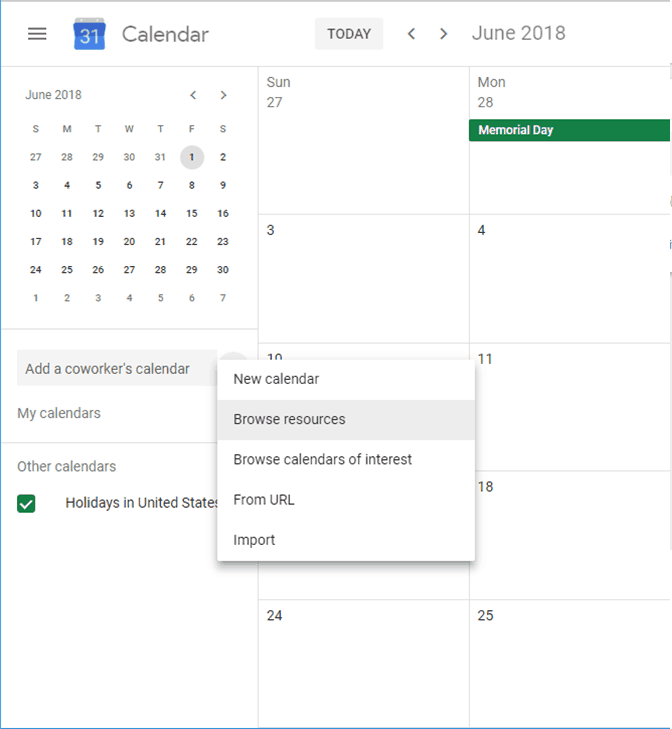 From there all that needs to be done is selecting the “Generate New iCalendar URL.” This will generate a unique URL to be used anywhere and ICS calendar file is used. The private ICS URL from AppointmentCare is now ready to be shared with an external calendar. As long as that calendar allows you to subscribe to other calendars’ feeds via a URL. 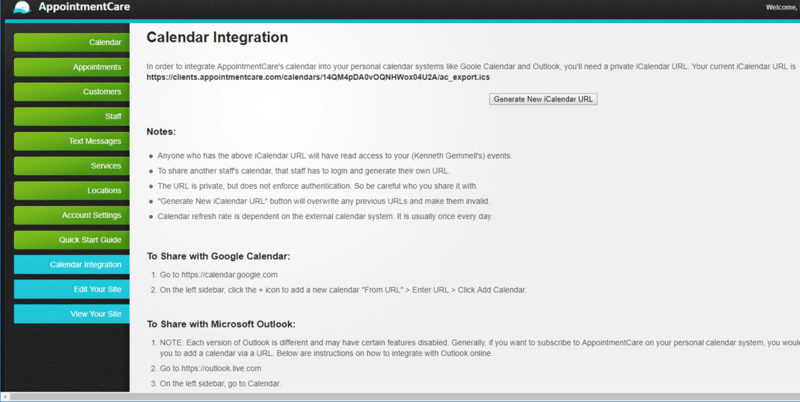 Next we will show you have to add the AppointmentCare ICS URL to Outlook, Outlook 365, and Google Calendar. There are many other calendars online that you can import an ICS file. If you are using another option and need any help feel free to reach out to our support team. 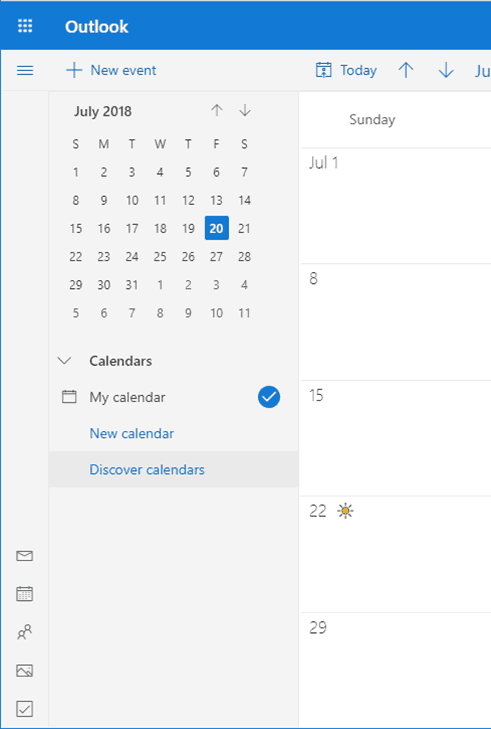 In your Outlook desktop application go to the calendar view. From there make sure you are in the “Home” tab on the top ribbon. Select “Open Calendar” and then from the drop down box select “From Internet.” You should then see something like the second image below. In older versions of Outlook, click on the “Tools” menu, then “Account Settings”, and the Internet Calendars tab. 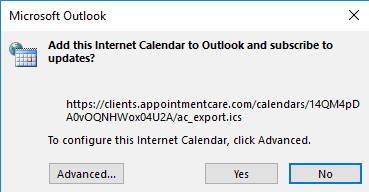 Finally, click “Yes” and Outlook will import your calendar. 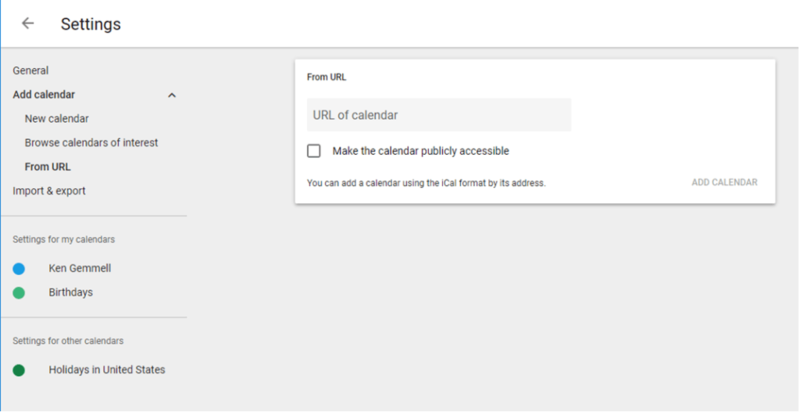 Then enter the AppointmentCare ICS URL and the name you want the calendar to have. Select”Import” and then you should get a message that it imported and then you are good to go. 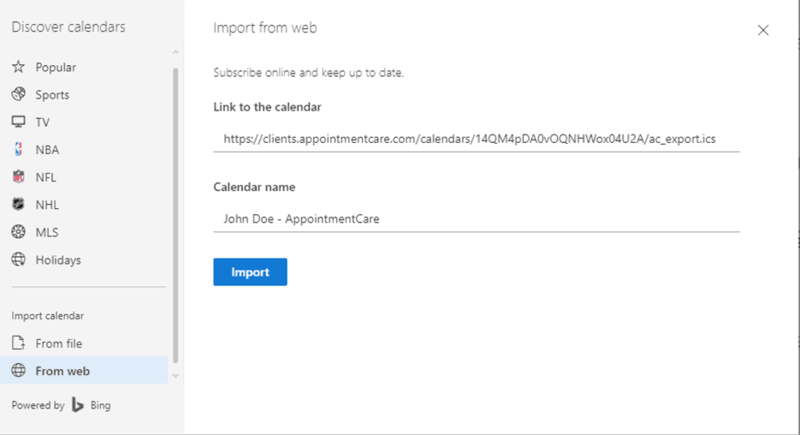 Then paste your AppointmentCare ICS URL and then select “Add Calendar” and you are all done. Sign up to AppointmentCare’s 30-day free trial today!